Schaper Toys had a real hit in their hands in 1975 when they released "Super Toe Football" the first of their "Super Jocks" line of toys. 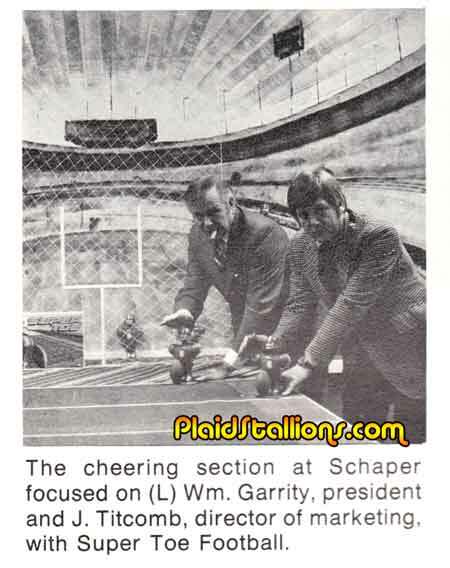 So by 1978, it should come as no surprise that they had expanded into other events such as Baseball, Basketball, Soccer and Hockey. 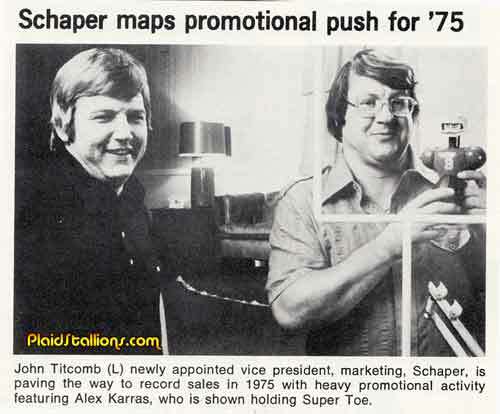 The President of Schaper introduces Super Toe while chomping on a stogie..
Alex Karras, fresh from "Blazing Saddles" is brought in to hawk Super Toe in 1975. Super Toe Football transformed from a toy to a weapon within five minutes of it being unwrapped at Christmas. That football HURTS. Hey! I had one of those football guys! I had forgotten all about it, and Michael is right, those footballs hurt. Why does the soccer guy have green hair? I realize we Americans see soccer as a "foreign" sport, but that's taking alien a bit far. Alex Karras was going through his Brian Wilson phase. I bought my son the current version of Super Jock a couple yrs ago (now called "Headbangers"); the footballs are softer now. I know people in these photos and would love to find out—where did you get them? You and What Army Pal? 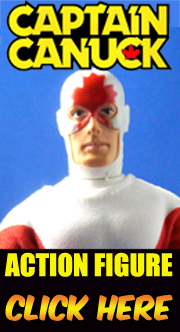 Mego Super Heroes :Truth, Justice and Sales? Spider-Man is Coming to Walgreens! Live Long and Are You Going to Finish Your Fries?